Looking to Play the Links, but don’t want to pay full price? The Player’s Club allows frequent golfers the opportunity to earn free rounds! The Links at Spring Church welcomes your private or corporate outing. Celebrating our 20th Season !!! 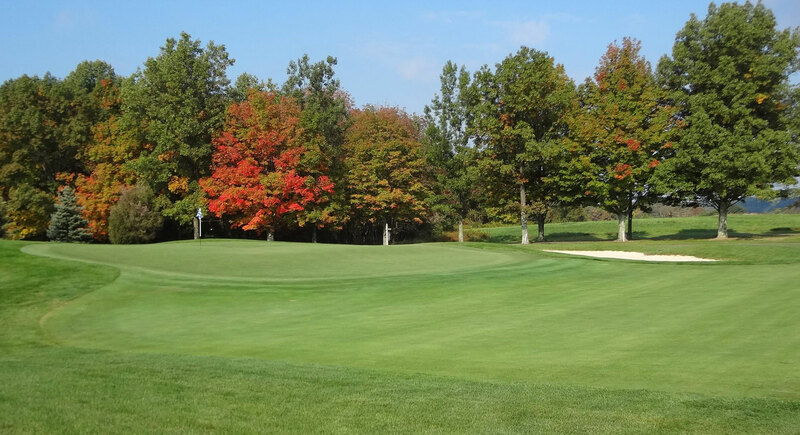 Nestled in the scenic hills of Armstrong County, The Links at Spring Church has become the prefered golf destination of golfers throughout Western Pennsylvania. Designed to take advantage of the natural lay of the land, The Links offers a variety of unique golf holes, which requires players to use every club in the bag. Constructed on former farmland and timber, the property is ideal for a premier golf course layout, showcasing the wide-open, fescue-lined "Links-style" holes, and the tree-lined "Parkland-style" holes. Opened in 2000, The Links at Spring Church has received accolades for its meticulous conditioning and its superb food and beverage services. The golf course will be open in March and April on a day-to-day basis depending on the weather and the course conditions. Please call the Pro Shop to find out the status of the course before coming out to play.